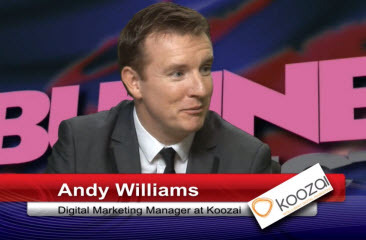 Earlier today I appeared on Business Connections Live providing an SEO overview for business site owners who may be looking after their own online marketing activities. 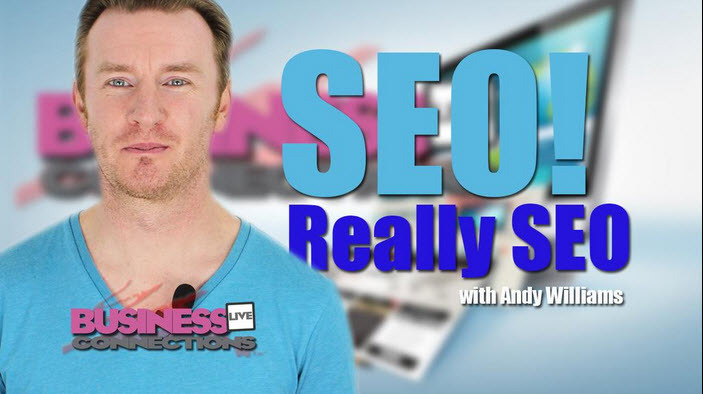 The SEO landscape has changed quite a bit over the last couple of years and for those trying to find their own way around it can be very easy to become left behind or using out of date tactics that you believe to still be relevant and beneficial to your site. As a result I wanted to give site owners a few pointers to guide them in the right direction. 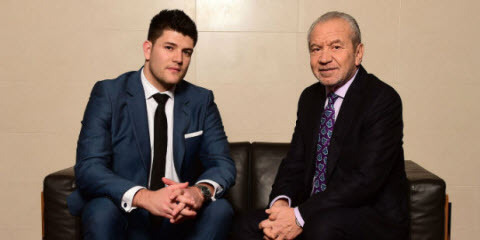 Below is the interview in full or if you would prefer the rest of this post provides you with a full write up complete with additional SEO help, including whiteboard videos, links and resources. So here is an overview of what was discussed so that you can go over these notes and put them into action. SEO used to be a case of simply making sure your targeted keyterms were included throughout your site as often as possible while at the same time creating as many keyword anchor text links pointing back to your site as possible. No real focus was given to the visitor, in order to get to the top of Google you basically had to spam. Build as many links as you could and fill every possible element with a keyterm. The more links you built the chances were you would rank highly. It didn’t really matter where the links came from either. A popular tactic would be to submit your site to as many directories as possible. Some tools could do this for you at the touch of a button. Site structure was also over looked. Internal linking would be everywhere even if it wasn’t needed. Article marketing was also all the rage. Creating articles, often badly written, simply for the purposes of creating a link back to your site. All of this had to come to a head and Google was always going to act. So that is exactly what happened. Updates looked to eradicate the type of tactics mentioned above with Google wanting sites to think about their audience and not trying to beat the Google system. They wanted brands to be brands and to earn their links. These days you simply won’t see the type of results you once used to using the above methods. Now you need to provide your audience with what they want. You need to answer their questions, you need to be the hub of information. You need to provide a site and content that people will interact with and continue returning for more. And if you can get them to share it, then you are on to a good thing. So, those all-important Google updates. In their quest to improve search results for their users, Google have looked to eradicate spammy sites and sites that have low quality content. They have also looked to target sites that may be using under hand link building tactics in order to gain better rankings. 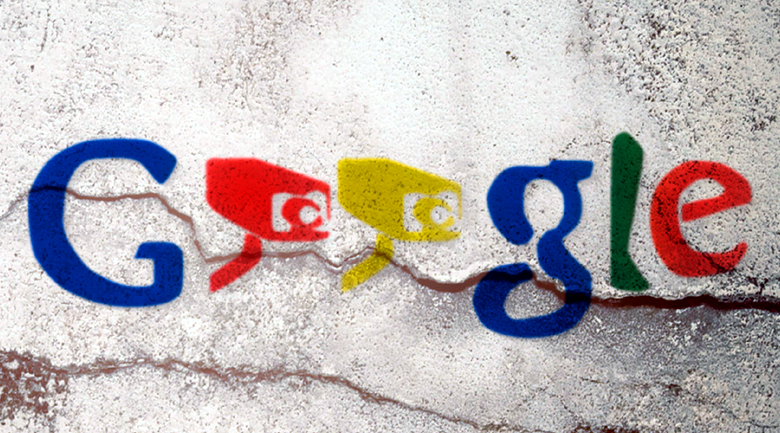 The Penguin update was aimed at sites that were receiving incoming links that Google deemed to be spammy. Sites that may have brought links or taken part in link building networks. You are never 100% in control of who links to you but if you have worked to obtain links Google wouldn’t be too happy about then the Penguin update could catch up with you. The Panda update focused on the quality of content. Sites that were ranking well but had content that was deemed low quality would be demoted. The result would be that searchers would start to see higher quality web pages and more relevant pages returned in the search results. The Pigeon update is the recent Local SEO based update. In Google’s quest to deliver the most local and relevant results to their searchers, the Pigeon update aim was to deliver more local listings within their search results. This update also affects the results you will see in Google Maps. 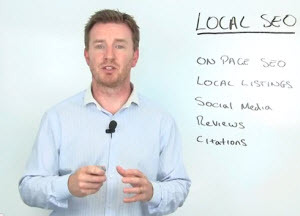 Local SEO has always been important but now it is imperative. My following Whiteboard on the subject will give your required pointers. You may have read about the recent Mobile Update. It gained a lot of press coverage, which in turn created a lot of misreporting and scaremongering. The hashtag #mobilegeddon was even used creating a lot of panic amongst site owners. Panic that non mobile friendly sites would drop off a cliff were rife. The reality is that this wasn’t the case. Its true Google wants to create an environment where sites are all device friendly but this first instalment (as there are bound to be many pushing sites in this direction) didn’t hit as hard as everyone feared. Mainly because it ended up being so misunderstood. Why? Because Google doesn’t really release much information prior to an update. But now it’s live we know exactly what is happening. It’s important your site is mobile friendly. Don’t sit back thinking this update wasn’t as important as we all thought because this is just the start. You do have time but you need to ensure your site is mobile responsive and all device responsive. So that is a big overview as to what has recently happened. Yes it’s a lot but you need to know it. You need to understand what is no longer acceptable and what the recent updated have been. Any SEO who isn’t truly up to date with this information – avoid. A little knowledge is a dangerous thing remember. Anyone “playing” at this profession could cost you your online business. In the modern environment Google want sites created for their users. They want to deliver pages that provide their searchers with the most relevant information. They want brands to be brands, they want engagement, and they want good high quality content. They want sites to naturally earn links and not for you to build them. They want well optimised sites that are technically sound. It all sounds a lot right? Well it is. The modern day digital marketing requires a strategy. It requires a plan aimed at reaching your audience and reaching out to those who may not be aware of you yet. It’s no longer as simple as it once was. But if you do it right the rewards are huge. However, it all starts with a well optimised site. Without that Google won’t even know your exist. So here is what we have been building up to. 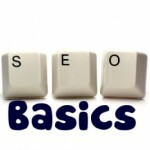 So what are the On-Page SEO basics? 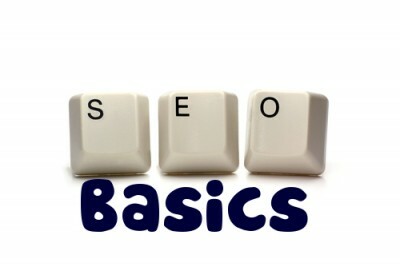 The SEO basics haven’t really changed in the 11 years I have been in the industry. The important elements remain. The information you need to implement help to inform Google as to your relevance to the terms and subject matter you are targeting. Before you embark on you on page changes you need to know exactly which keyterms you should be working with. Some may be self-explanatory but others may not. So it is important this is looked into. The most popular tools is Google’s Keyword Planner tool which you can access if you have a Google account. This will allow you to research terms that are being truly searched for. If you miss this step out then you could end up using terminology that may be common in your industry but not to those searching for your services. You may also be targeting terms that won’t bring you in as much relevant traffic as others. Once you know which terms you are working with it is time to start working on these all important on page elements that will help set you up. The Title tag, one of the most important SEO elements. If you ignore these then there isn’t much point focusing on any other areas of your site. The Title tag informs search engines as to exactly what your page is all about. It also informs potential visitors about the page. If you don’t optimise these then you aren’t going to bring in the traffic. If you have had your site created for you with no optimisation you will possibly find that the Title tags of your page are very generic. For example the Home page Title tag will more than likely be “home”. As you can imagine that isn’t going to encourage anyone on to your site. • If a specific product be exact in the detail – for example if you are selling a red running trainer size 7 the chances are that is what people are looking for, so be specific, capture your audience. Meta Descriptions are the snippet of information that appear below the Title tag in the search engine result pages. This is your ad, your chance to entice people into your site. A chance to provide potential clients that you are the best port of call for what they are searching for. The description used to be classed as a ranking factor, however it is now considered that this is no longer the case. Personally, I believe it carried more weight than most believe. Either way this is an important element and you need to craft your descriptions carefully. H Headings help style the page and provide the page with the relevant headings. Beyond the H1, you can use H2, H3, H4, H5, H6. As you would expect the lower you go down the less importance they have. These headings don’t hold as much SEO strength as they used to but are still important to a well-structured page. You can set up your site as perfectly as possible but if your content isn’t high quality then you won’t see the results you are looking for. Google want sites to provide the visitor with the information they require to satisfy their search. The content should provide an answer to the visitors query and should provide a good user experience. If you are unsure if your content us up to scratch, get an outsider to read it. Ask them if they know exactly what you are offering or what you wish people to do on any given page. If they can’t then you need to review your content. The amount of content on a page can also play a factor. There are no official guidelines but a rule of thumb is at least 500 words on the home page and at the very least 250 on any other page. This of course depends on the nature of the page and the required content. It is also important you don’t provide any un-needed information. Get to the point. If someone is looking for a Plummer the chances are they don’t care how long you have been in business. They want to know your call out hours, how much you charge and whether you cover the area they are located. If you waste their time, they won’t hang around. And if they don’t hang around Google will know about it. Once Google knows about it, they won’t class you as very relevant to the very subject matter you are looking to rank for. The end result – you won’t rank. Image Alt Tags used to be misused, filled with nothing but keyterms to build that all important relevance. When Google tightened everything up, this element started to become over looked. However any site that is set up as Google would expect should have well structures Alt Tags. These should be descriptive to the individual image. Do not just fill with keyterms. If the image is relevant to the subject matter of the page then you will naturally include important terms. Alt tags are also there to aid visually impaired so use them as such. NAP stand for Name, Address and Phone number. 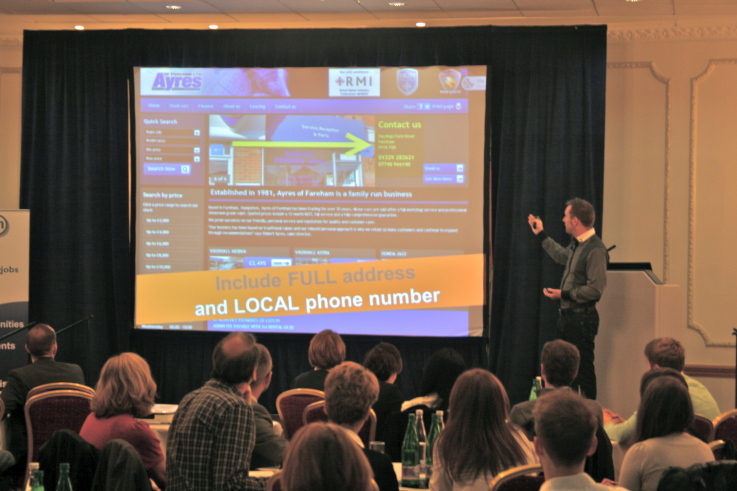 Vital from a Local SEO and a contact point of view. This information should be on all pages if possible. The most obvious place is in your footer. With the Pigeon update (mentioned earlier) now in full effect you need to make sure Google knows exactly what area you are located – even if your audience is nation-wide. Also remember that your NAP needs to be consistent across any off page profile you may build. You’ve made a start. But it doesn’t end there. Remember we mentioned earlier that Google also want a technically sound website. Well there is a train of thought that suggests that up to 50% of your rankings come from a technical elements. If you need any help with your SEO campaign or overall Digital Marketing then please get in touch here and let’s discuss how we can improve your overall online presence. Thanks for linking to my article! Glad you found the information helpful. Really thorough article Andy. I recall back in the day, you could position your website easily by using different blackhat techniques. It makes me cringe when I remember how some websites used to look like. This is definitely a step forward. Google finally realized that they should have a responsive product which will be based on user experience and social networking instead of plain algorithm.